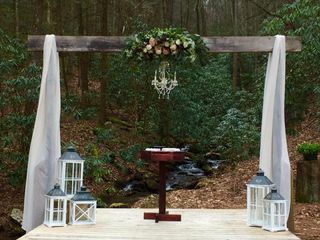 Enotah Valley Event Center is a rustic wedding venue located in Blairsville, Georgia. 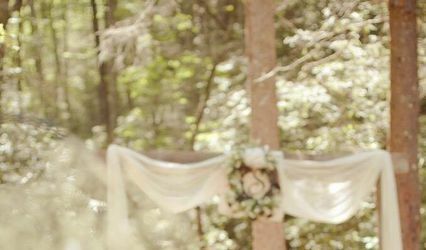 This venue contains 23 acres of scenery, surrounded by the natural forest and an indoor lodge for a reception. 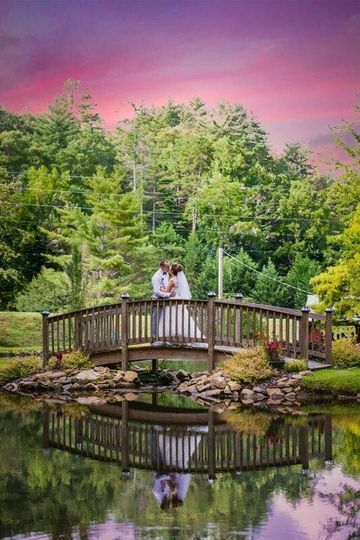 Enotah Valley Event Center offers cabins for day use for the wedding parties with views of the stream and ponds. 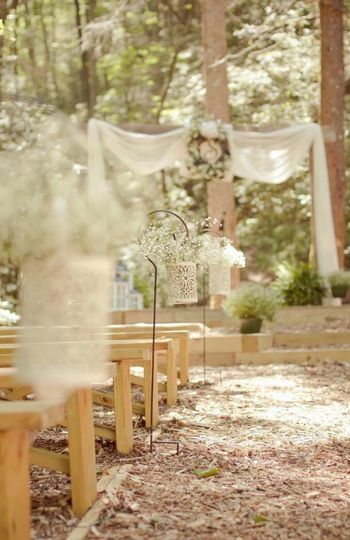 Outdoor wedding site with benches, use of antique car and limited decor. 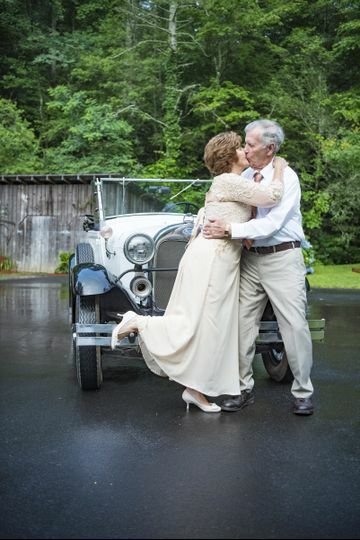 With a professional staff and positive testimonials, this venue is perfect for a Southern wedding. 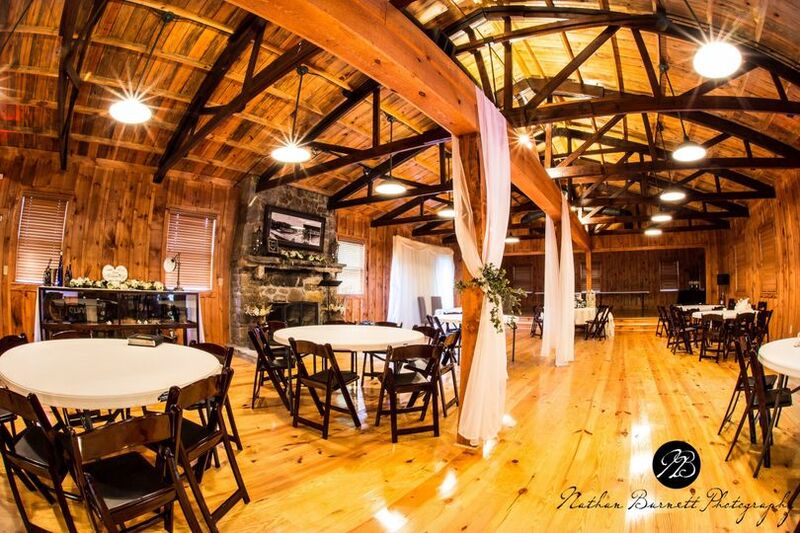 Enotah Valley Event Center can accommodate up to 100 guests. 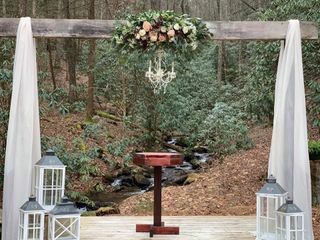 The outdoor wedding area has benches, a creek and is surrounded by ferns. 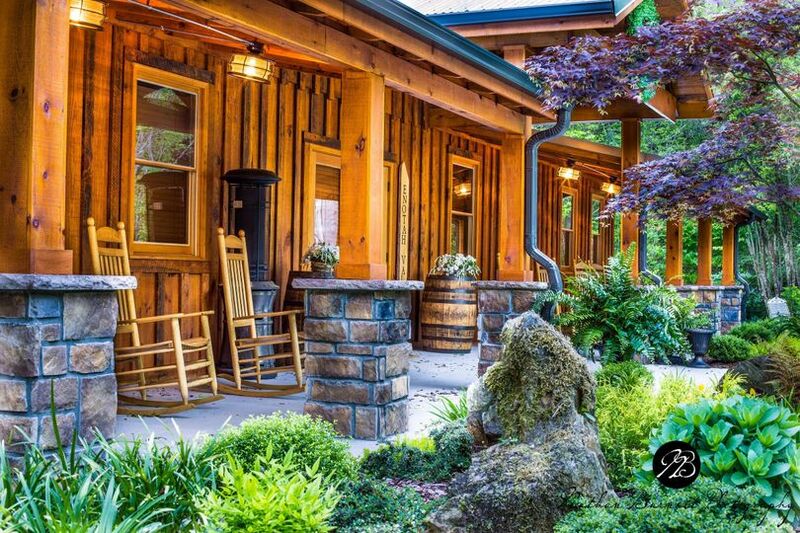 The lodge has a stage, kitchen, fireplace and n outdoor patio. 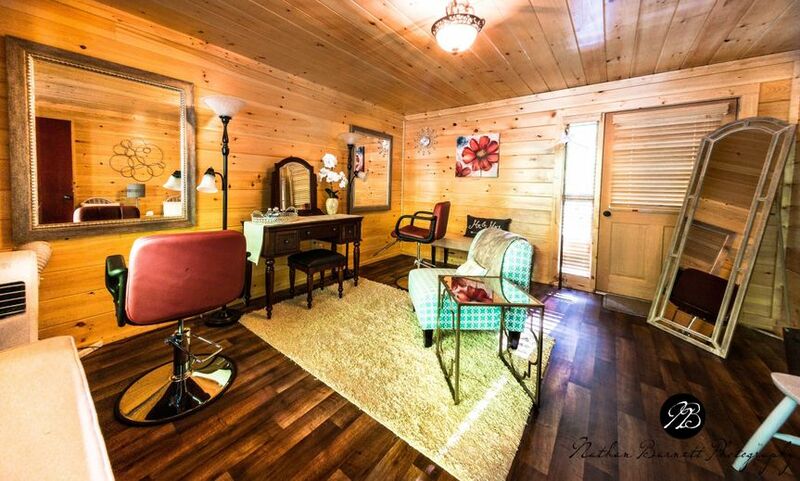 The two cabins are perfect for getting ready in and can act as a lounge area. 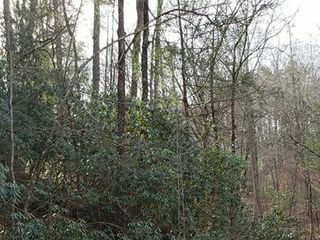 Enotah Valley Event Center is located in Blairsville, Georgia, near Lake Trahlyta. 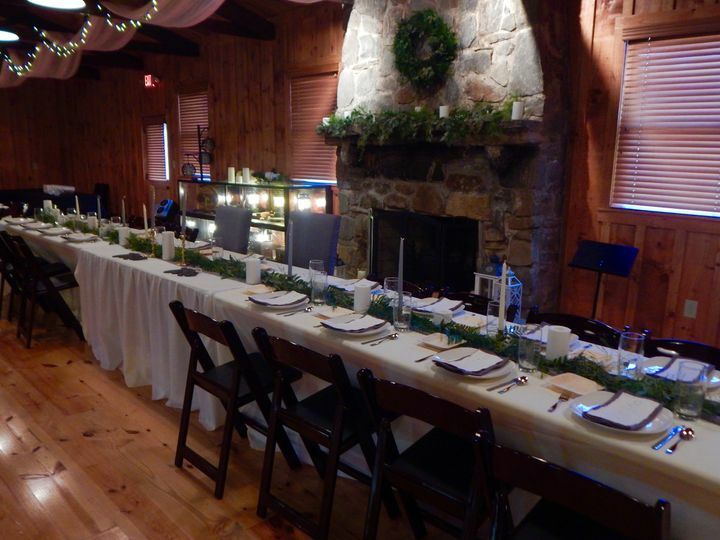 This venue was everything we could have hoped for, and the owners, Linda and Tate, are a DREAM to work with. 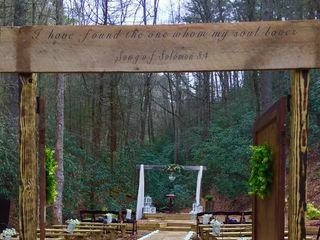 They truly go above and beyond to make sure everything is perfect for your wedding day! The venue itself is absolutely gorgeous (see pictures), and they have so much to offer in terms of decorations, setup, logistics, etc. that it makes the whole planning process so easy. 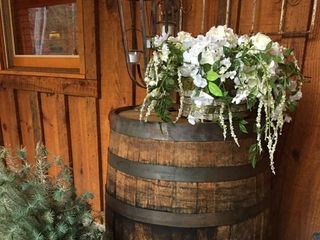 The venue has a classy, rustic, laid-back vibe, and it was absolutely perfect for us. I could seriously go on and on about how amazing the venue and owners are. Highly recommend!! It’s absolutely breathtaking and beautiful! Reasonable price for a venue that hold 100 guests. Absolutely cannot wait for my wedding! 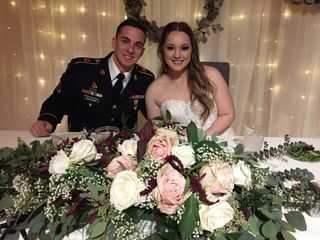 This venue was a dream come true for my son's wedding on Saturday, February 9th! The owners were amazing from the moment we first toured the site until we were cleaning up the last of our chaos from their space! 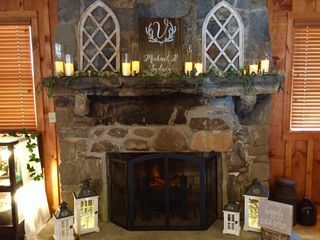 We hosted the rehearsal dinner in the lodge the night before the wedding and it was beautiful! 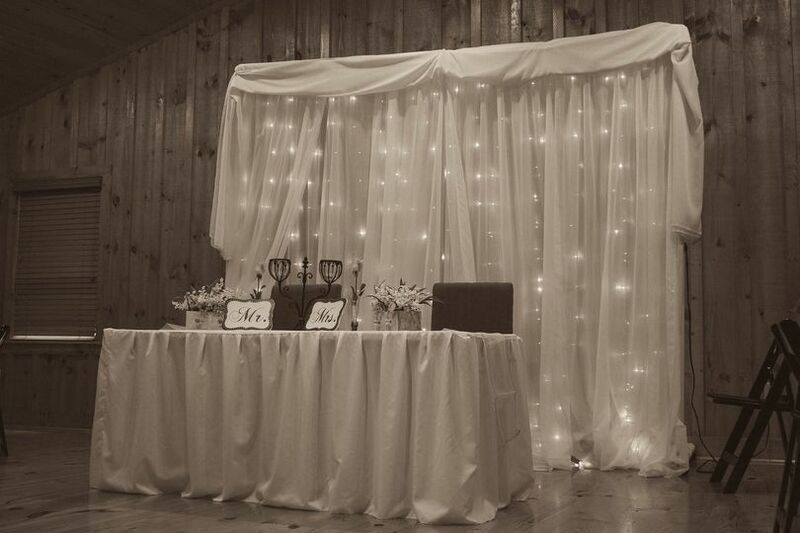 The wedding and reception were breathtaking and the venue works so well with vendors coming in and setting up. 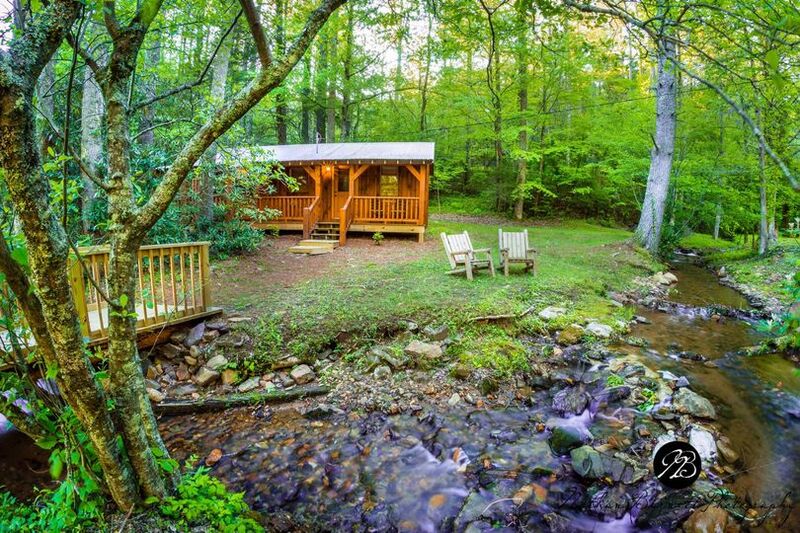 I would recommend this beautiful spot to anyone wanting to host the wedding of their dreams! Summer special for the last two dates available in August 2017!